Richard J. Radke joined the Electrical, Computer, and Systems Engineering department at Rensselaer Polytechnic Institute in 2001, where he is now a Full Professor. He has B.A. and M.A. degrees in computational and applied mathematics from Rice University, and M.A. and a Ph.D. degree in electrical engineering from Princeton University. His current research interests involve computer vision problems related to human-scale, occupant-aware environments, such as person tracking and re-identification with cameras and range sensors. Dr. Radke is affiliated with the NSF Engineering Research Center for Lighting Enabled Services and Applications (LESA), the DHS Center of Excellence on Explosives Detection, Mitigation and Response (ALERT), and Rensselaer’s Experimental Media and Performing Arts Center (EMPAC) and Cognitive and Immersive Systems Laboratory (CISL). 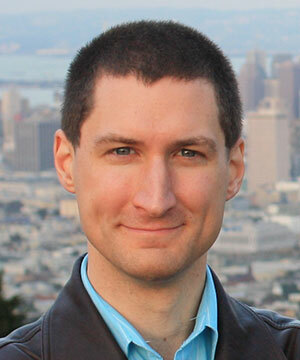 He received an NSF CAREER award in March 2003 and was a member of the 2007 DARPA Computer Science Study Group. Dr. Radke is a Senior Member of the IEEE and a Senior Area Editor of IEEE Transactions on Image Processing. His textbook Computer Vision for Visual Effects was published by Cambridge University Press in 2012. His Youtube Channel contains many annotatated lectures on signal processing, image processing, and computer vision.